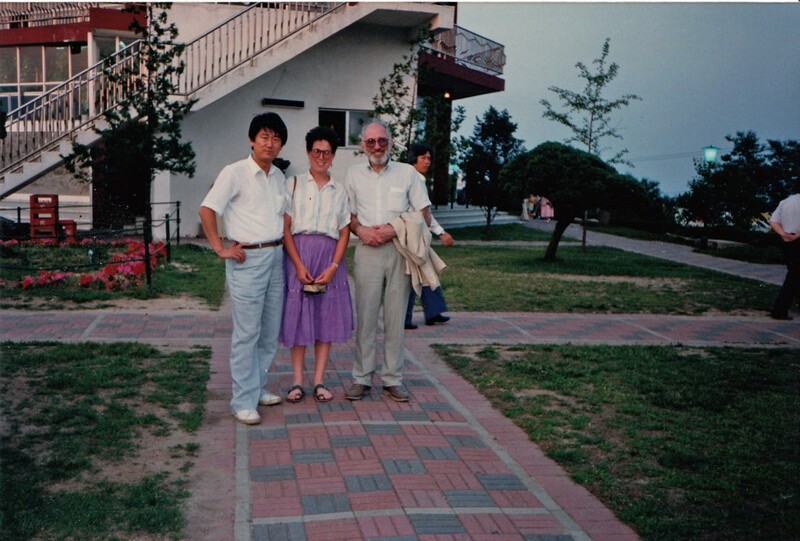 Thirty years ago this summer, my dad took me to Seoul for a week. 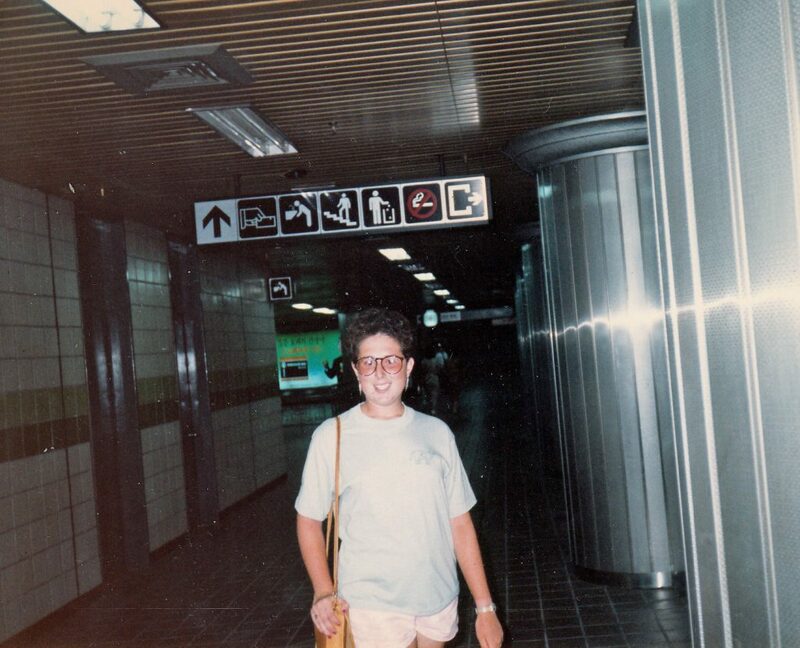 I was 16, going on 17, and had never been to Asia before. We flew business class and stayed at the Westin Chosun thanks to my mom’s job at United’s corporate headquarters. United at that time owned Westin. Just outside our hotel window, hundreds of student protestors appeared every morning. They were demonstrating for reforms ahead of the 1988 Olympics to be held there the following year. I remember going out every morning to a shop down the street that sold red bean paste-filled buns. My dad and I would each buy one for breakfast and eat them on the street as we walked back to the hotel. I can still taste the red bean paste mixed with the aftermath of tear gas. It was in the air day and night back then. 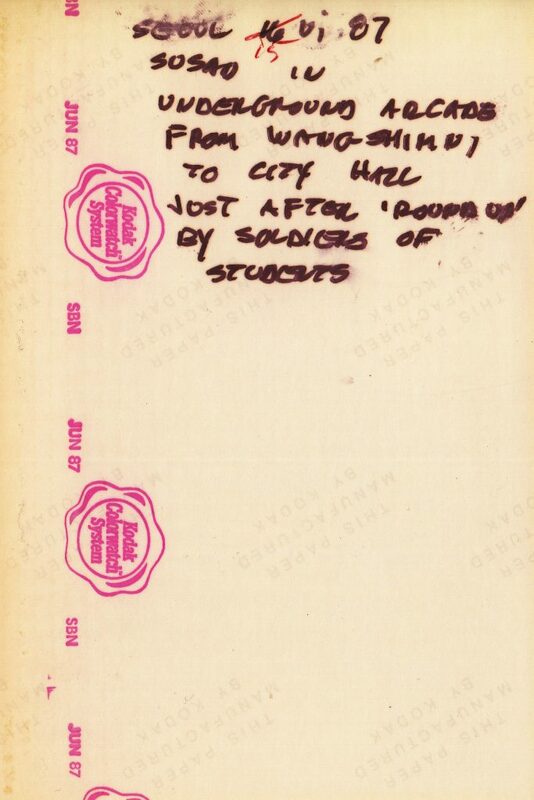 The above photo was taken after one of the tear gas incidents, or as my dad wrote, ’round up’ of students by the soldiers. Even though it was 30 years ago, I remember a lot of us running into this underground arcade to escape tear gas. We didn’t go to the DMZ, but saw the huge American military presence in Itaewon, the area known for cheap stuff and knockoffs. Besides sightseeing, we hung out with the family of one of my dad’s students back in Chicago. Things have changed in South Korea in the last 30 years. I wonder if those student protestors, all grown up now, wish we were back in 1987. Sometimes I do.